I detest aluminum foil. It sets my teeth on edge. Big time. My family knows to give me notice when they’re planning to use the stuff, so I can leave the room—ideally to get outside, well away from the sound and sensation—before they tear or mold or crumple any foil. Guess what? Today’s make something assignment was to work with foil. Ugh. 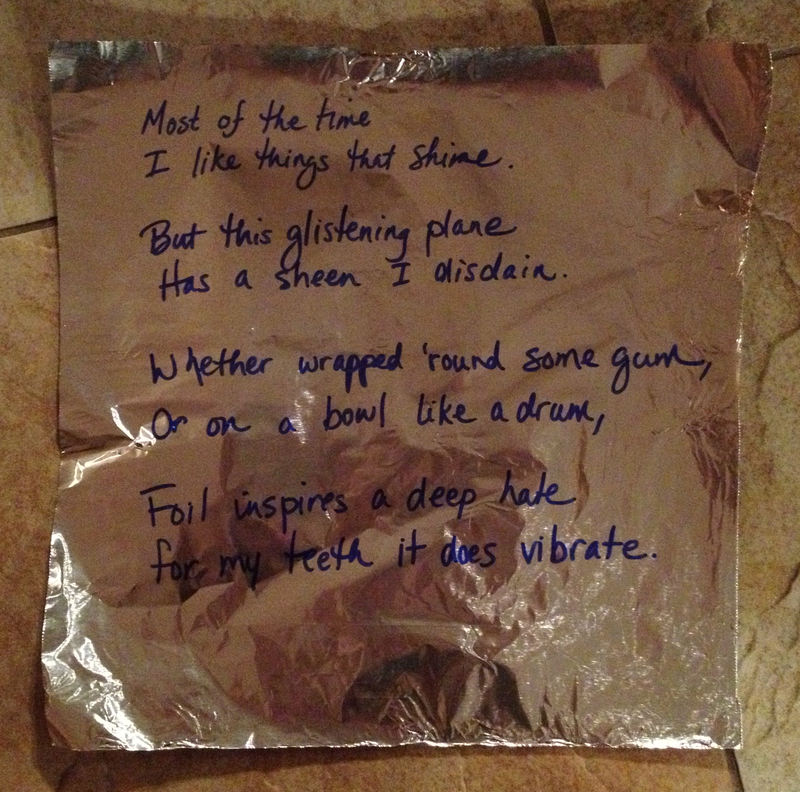 While my son watched in amazement (“You can’t even TOUCH foil!”), I managed to tear off a sheet. Then I stood gazing at it with intense hatred, trying to decide what to make. I like things that shine. has a sheen I disdain. for my teeth it does vibrate.